MAXIMUM FRESHNESS: Not only is the coffee roasted, ground, and packaged in less than 6 hours from start to finish, but each capsule uses a UNIQUE one-way valve and filtration system that provides a superior cup of the freshest coffee. Shade-grown in the rich, volcanic soil of the Tarrazu region of Costa Rica. Made with 100% Arabica specialty- grade coffee beans. Dark roast that is full-bodied, having a smoky taste with undertones of fruit. 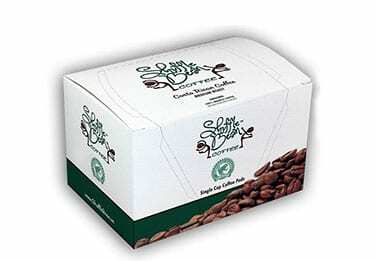 Shuffle Bean Dark Roast Ground Coffee 12oz. Shuffle Bean Medium Roast Ground Coffee 12oz. Shuffle Bean Medium Roast Whole Bean Coffee 12oz. Shuffle Bean Dark Roast Whole Bean Coffee 12oz.